The trends lately have involved a series of items that might make some of you laugh. Animal hats have gained quite a big popularity among people and the most surprising fact is that even adults wear them. 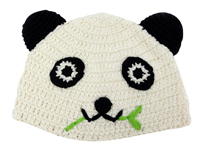 The term animal hat involves all kinds of caps and things that you can wear on your head including crocheted fashion items or knitted fashion items. Most of these hats started being extremely popular for kids who looked extremely cute wearing them. However, teenagers started wearing them and soon everybody had one. They are a great combination for those who want to dress more unusual and have a great need to express themselves with colorful, cool hats. There are all kinds of varieties to choose from but the most popular are the owl hats. There has been a trend going on for the last couple of years involving owls everywhere and people have become hooked on owls. An owl hat is your typically knitted hat except for the fact that it has an owl on the front part of it, an owl that looks like it’s part of your head. There are also some coats that come with hoods featuring ears to look more animalistic. But people have been debating whether animal hats are a good fashion item for grown people. Most of them believe that these hats are a bit too much and those wearing them are committing a big fashion no-no. However, the trend is still here and people love the hats even more. Combining an animal hat with other outfits can be a pretty tough job. Usually you have to wear them with something more casual and urban, obviously they don’t go well with elegant attire, unless you want to look like Lady Gaga during one of her wardrobe experiments. Jeans and other comfortable trousers along with casual jackets would be the best choice that goes well with animal hats. Other people prefer wearing trench coats and even skirts sometimes, but it’s up to you and how you want to view this style. Animal hats can be fun to wear and a cool way to express yourself.